Welcome to our Blog Hop, the Magical Life of Fairies. What little girl doesn’t dream of carrying a fairy in her pocket? They are so tiny and beautiful. They have beautiful wings and long pretty hair. This is what comes to mind when I think of fairies. Today, we have a lot of talented women that want to show off their beautiful fairies that they created. So please join the party and fly around with us!!! Oh, silly me, I forgot to mention we have some wonderful Blog Candy!!! The Scrapbook Stamp Society has agreed to sponsor the hop and will offer $12 worth of FREE fairy related digis as a prize for this hop. All you have to do is visit every blog and leave a comment. We would sure love it if you would start following our blogs, also. If you want to start at the beginning of the hop and work your way down, go to Pamela's blog. 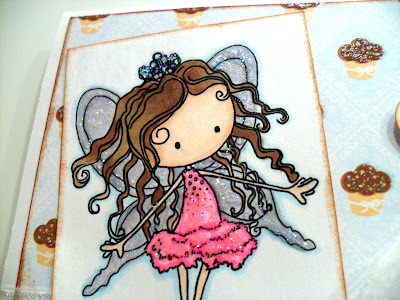 For my project, I created a card using Sugar Plum Fairy from Tiddlyinks. 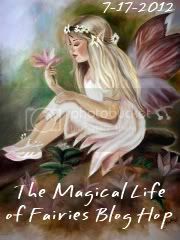 I love this fairy image ! I decided to make her a birthday fairy, but you could use her as a tooth fairy or any other kind of fairy, too! Of course, I just HAD TO use lots of Stickles on her because, a fairy is not a fairy unless she has lots of sparkly glitter -- at least, in my book she must! LOL The sentiment was computer-generated and punched out with a Stampin' Up! oval punch. 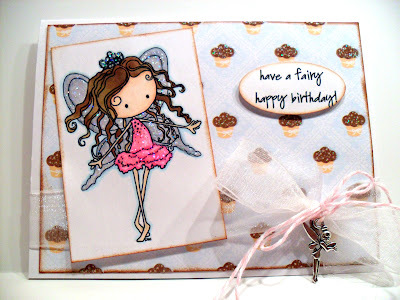 I inked the edges of the sentiment, image and cupcake cardstock with Tim Holtz distress ink. 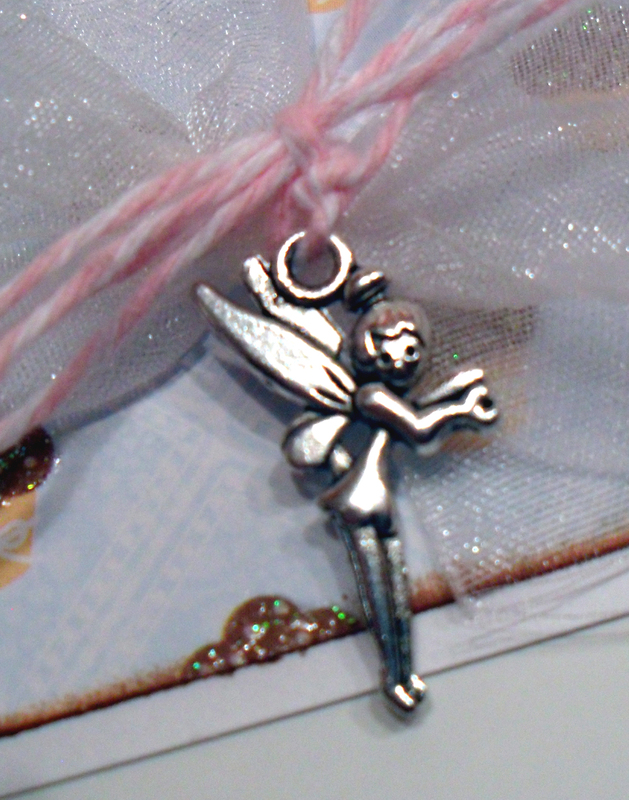 I finished the card off with some sheer ribbon, twine, and the perfect charm: a fairy, of course! Thank you for flying by! 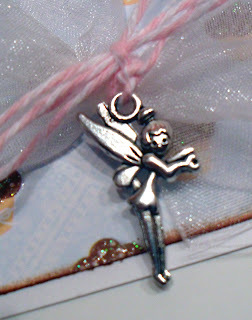 Now I must send you to the next stop on our hop: Callyann's blog to see what she's created for this magical fairy hop! Remember -- for a chance to win the blog candy, you must visits each blog and leave a comment! This is so adorable!! Love the sparkles!! Thanks for being in the hop! I would love this card for my birthday! Love the charm too... Love all the Glitz on as well TFS Super cute!! this is soooo sweet! Love the sparkle and of course the charm is amazing! You have a new follower!!! Gorgeous fairy card hun, such a little sweetie, love how you colored her! oh and that wee charm is just perfect! love this!! Oh I love your card. Your coloring is lovely and I love all the glitter. I love the card and the description in your "about me" so sweet! New visitor and follower! She has cute wild fairy hair! :) Thanks for sharing! this card is so sweet! I love the charm! I hope you join in on more hops! What a beautiful card, I love the charm you added onto it! Adorable, Adorable...Adorable! She is precious! You make beautiful cards! She's an absolute doll. Great job! very very cute dena! love tiddlyinks! and love all the sparkles that you put on her! it was nice hopping with you (again)! She is super, so many great little elements. Thanks for being in this hop! Super sweet; love that little charm.